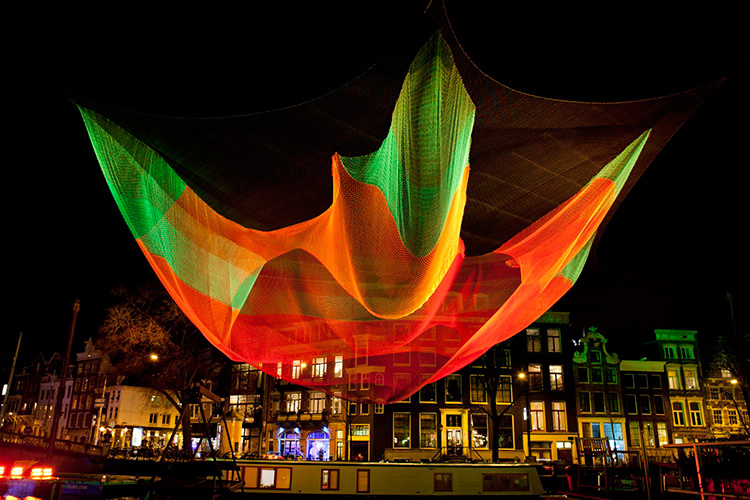 Today and tomorrow we will focus on the dynamic creations of sculptor Janet Echelman. We begin with her traveling art installation “1.26” which takes on a new meaning with every city it visits. About the material —J. Echelman has shown the world through 1.26 and her numerous breathtaking living sculptures that an artist can create volumetric form without heavy solid materials. About the Traveling Show —J. 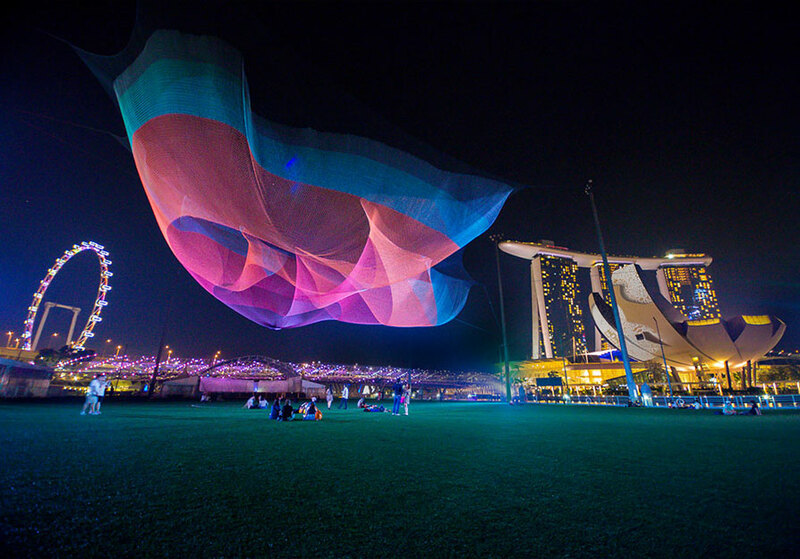 Echelman has shown “1.26” in 4 continents; the installation interacts with local cityscapes wind and weather conditions ; artist also works on a different color palette for night lighting for each installation. Thus, 1.26 promises a unique experience for spectators in every city it visits. “Janet Echelman created 1.26 just after the 2010 Chile earthquake when she learned of NASA data that measured the effects of the earthquake on the planet. The vibrations momentarily sped up the earth’s rotation, shortening the length of the day by 1.26 micro-seconds. This became the catalyst for the artwork, and her studio collaborated with a team of brilliant engineers, lighting designers, computer scientists, and architects to create the 1.26 series. Materials: The sculpture is completely soft and constructed from highly technical fibers, making it lightweight enough to lace directly into existing structures without extra reinforcement. Its billowing surfaces are animated by the wind, contrasting with the rigid surfaces of surrounding city architecture. At night, colored lighting transforms the work into a floating, luminous form. 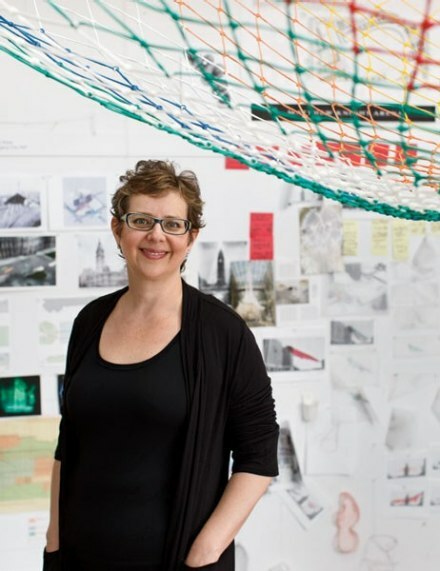 Janet Echelman’s response: “When I started making art, my biggest challenge was learning to hear my inner voice and finding a way to notice and pay attention to my own ideas. 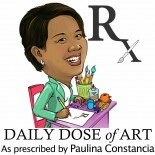 This entry was posted on March 14, 2015 by Paulina Constancia in Create, Imagine and tagged Creative Professionals, innovations, inspiring individual, installation art, nature-inspired design, sculpture.